Comfort Services, Inc. is your local expert for heating system replacement. Before we replace your existing furnace, we will thoroughly inspect your heating system. If you require a new furnace, we can install a heating system that's right for you. Contact us today to schedule a furnace inspection! We offer complete HVAC services in Southern Pines, Aberdeen, Pinehurst and throughout North Carolina. To find out if a new furnace installation is the right option for your home, contact the experts at Comfort Services, Inc. We provide free furnace inspections, free estimates for new furnaces, and expert furnace installation and furnace replacement. Because we have access to the best HVAC equipment, we’ll make sure to find a right-sized furnace that matches your home’s heating requirements and your budget. We can expertly install an oil, gas, or electric furnace in your home. Call us at 1-855-800-2275 or get an online quote to have a new furnace installed in your home. 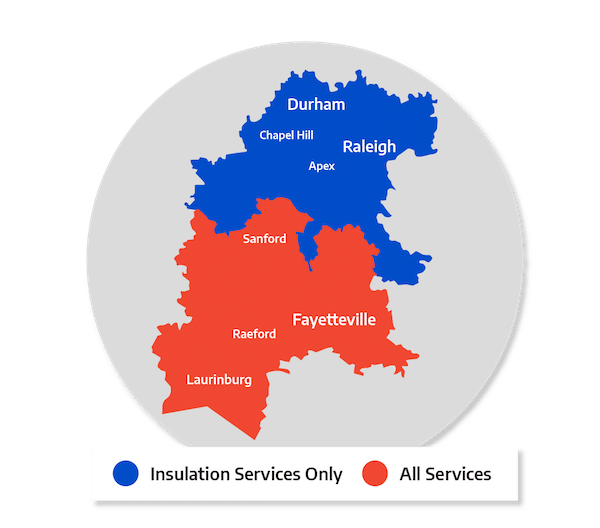 We provide comprehensive heating services to customers in Garner, Apex, Fayetteville, Chapel Hill, Fuquay Varina, Fort Bragg, Durham and nearby towns and cities.